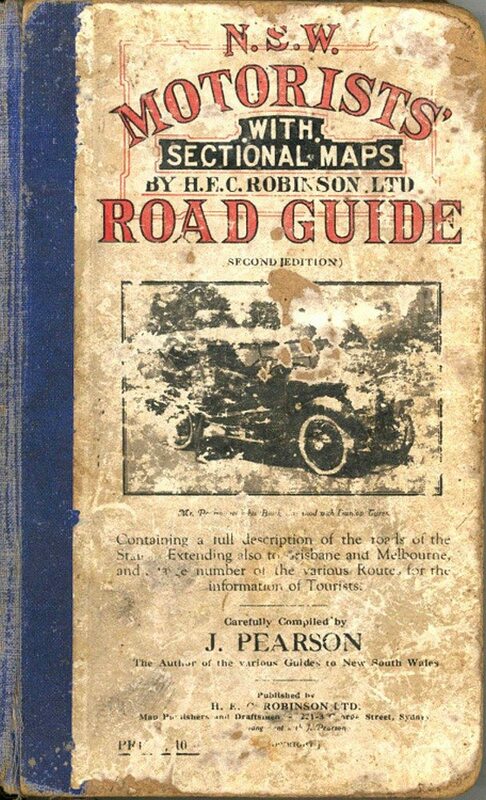 Robinson’s NSW Motorists’ Road Guide was the road map directory of its time. 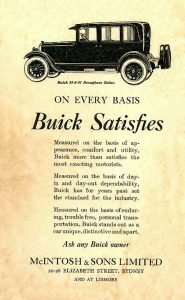 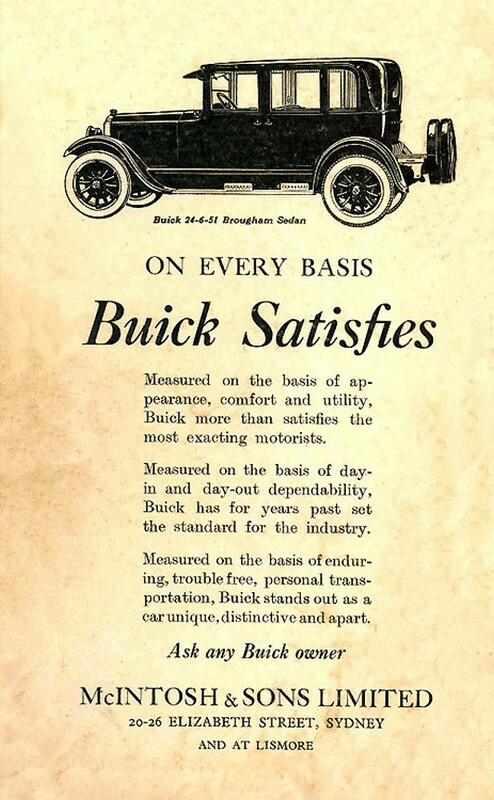 The 1924 edition had Buick as its theme cover photo. 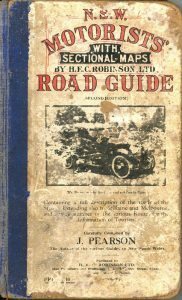 Sadly the cover of this historic edition is badly damaged, however the McIntosh & Sons advert inside the cover survived in good condition.